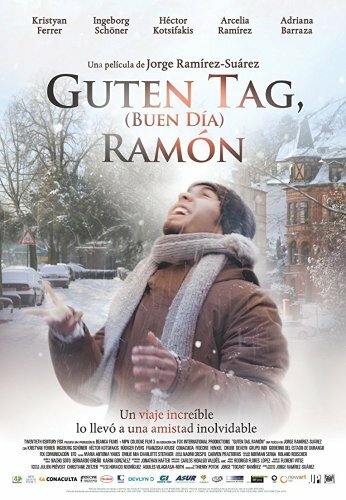 Guten Tag, Ramón (Good day, Ramón) is a film from Mexico directed by Jorge Ramírez Suárez. The film tells the heartwarming story of a young man from a small Mexican town who travels to Germany to find work to support his family and becomes stranded without shelter or money. He struggles to survive on the streets until he meets Ruth, a lonely senior citizen with whom he develops an astonishing and touching friendship that transcends borders and prejudices.